The world needs to see the real Elon Musk. "The public perception of Elon Musk more recently is he is thin-skinned and short-tempered," said tech analyst Gene Munster in an interview with Christine Romans on CNN on Friday. Munster penned an open letter to Musk asking him to take a break from Twitter. "That's not who Elon Musk is." Munster told Romans. "It's important that the world sees what we think is the real Elon Musk." Munster, a managing partner with the venture capital firm Loup Ventures, described Musk as a motivational leader with an important mission of speeding up the world's adoption of renewable energy. He said that investors were concerned that Musk's Twitter outbursts would distract from his message, and added that he wrote the letter on their behalf. "We heard from Tesla investors that something needed to be said," Munster explained. Munster pointed to several recent incidents as examples of a growing problem. The billionaire CEO attacked analysts during an earnings call in May. He has sparred with short sellers and journalists on Twitter. And most recently, Musk lobbed an unfounded and disparaging accusation against a Vernon Unsworth, a caver who participated in the Thai rescue mission. The latest outburst crossed a line, Munster said. "Hopefully we'll see some changes over the months to come," he told Romans. The controversy surrounding the Tesla CEO comes at a precarious time for the company, which has struggled to bring the Model 3, its mainstream vehicle, to market. Bottlenecks have severely delayed the delivery timeline Musk promised for the Model 3, and Tesla may need to raise more money from investors soon to avoid a cash crunch. Needham & Co. analyst Rajvindra Gill said this week that cancellations for Model 3 orders have picked up in recent weeks. Tesla (TSLA) disputes that. Some experts say that Musk's antics could ultimately hurt the business. 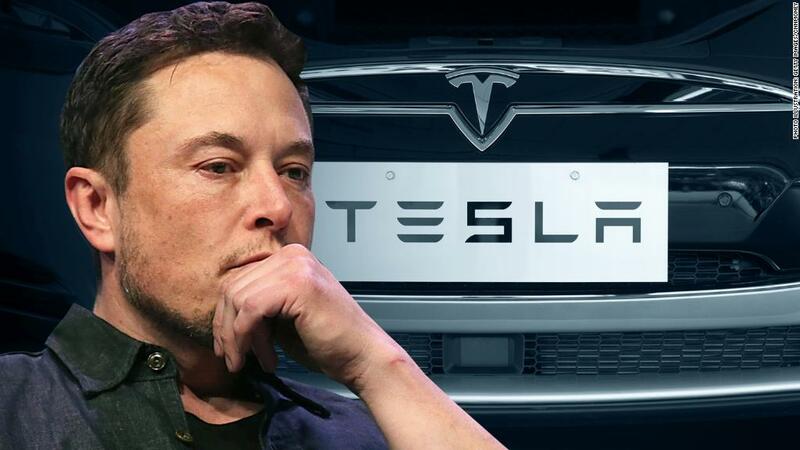 The Tesla leader is "not showing the kind of discipline of someone going to manufacture hundreds of thousands of cars," said Brian Tierney, CEO of Brian Communications. "When you're looking to expand the appeal of your product beyond innovators themselves, beyond early adopters ... you've got to be careful," said Rebecca Lindland, an analyst with Kelly Blue Book. "You've got to start acting like a CEO."